Local hip-hop blog legend Grant Seymour has been an influential figure online for the North East ‘SceNE’ for years. Running the ‘Hash Rotten Hippo’ blog on social media and releasing compilation mixtapes, Grant has been unanimous in his support for local rap and grime artists. In his latest venture, Grant has teamed up with Gateshead’s Arch Sixteen Cafe and enlisted 90BRO for DJ duties to create ObSceNE. ObSceNE now approaching its fifth monthly event has established itself as local hip-hop’s premiere night with its open mic, cyphers and social occasion which offers the opportunity for attendees to socialise and meet new people. Hosted by Grant himself for the first even, hosting duties have then been passed on to Reali-T, Rex Regis and Zico MC in recent events and now Tees Grime Fam’s Eyeconic. 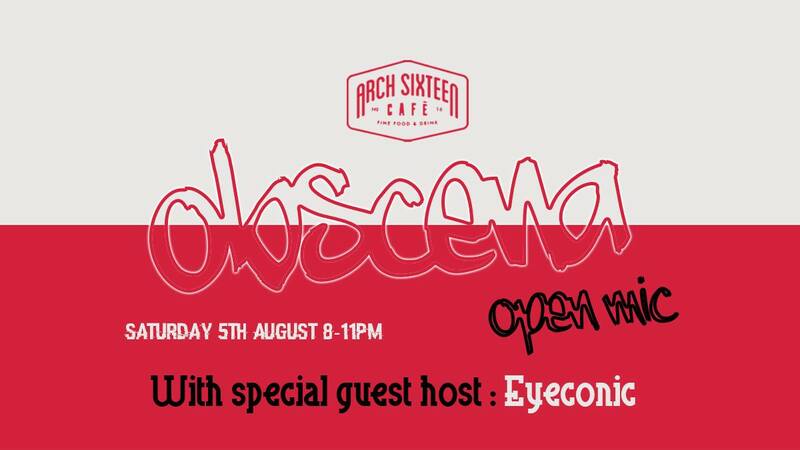 On Saturday 5th August, Eyeconic will be leading the proceedings for ObSceNA – the Polish translation for scene, a nod to the MCs country of birth. The event coincides with the release of ‘Sink or Swim’, Eyeconic’s follow up to 2016’s ‘Nicotine Blues’ and will feature a range of artists. ObSceNE, or in this case ‘ObSceNA’ welcomes musicians of any kind. Whilst being predominantly hip-hop and grime, the last event welcomed urban band SoShe, and as it snowballs into one of the most notorious open mic nights in the North East, we can probably expect more diverse acts to come. For more information check out the Facebook event page here.